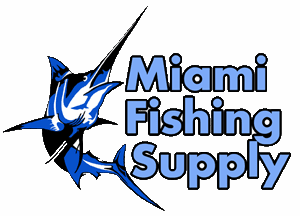 Squidnation 9" Dredge Ready Rigged Squids Miami Fishing Supply, complete selection of offshore fishing tackle, marine electronics and boat supplies. 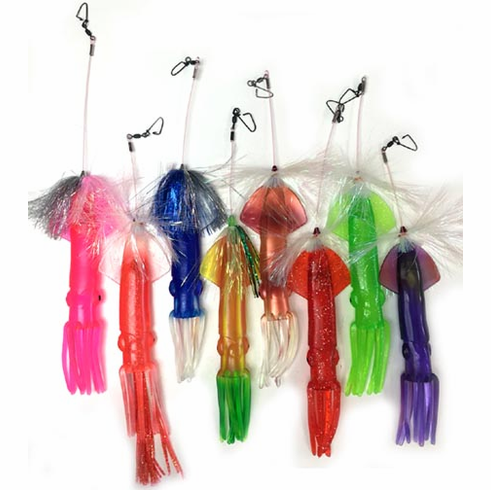 All squids are rigged with 200Lb drop lines and coastlock snap swivels and flash dusters for maximum visibility underwater. Just snap to your dredge arms and start fishing.